The five-member team of officials from Fatehpur Beri Police Station has also taken along with them Raju Singh's driver Hari Singh. NEW DELHI: A Delhi Police team has taken former Bihar MLA Raju Singh to Kushinagar in Uttar Pradesh to recover the blood-stained clothes of his driver which were allegedly dumped there while they were on the run after a celebratory firing incident here in which a woman was killed, an official said Sunday. 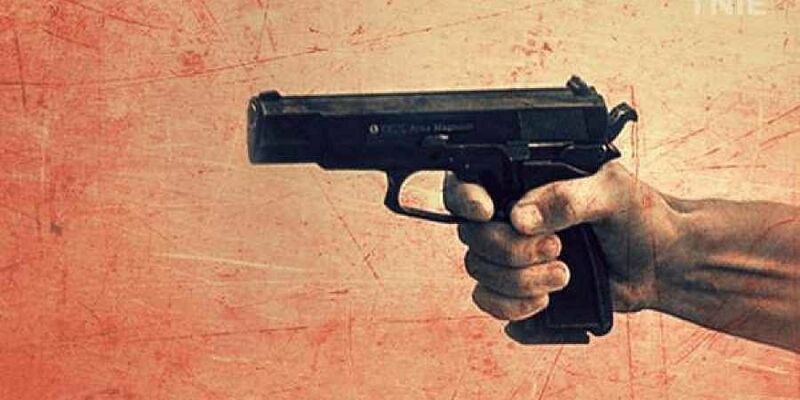 The 42-year-old woman, an architect, suffered critical injuries after the former MLA allegedly fired celebratory gunshots in the air during a New Year's Eve party at his farmhouse in south Delhi's Vasant Kunj. She died on January 3. The victim, Archana Gupta, who was a resident of Gautam Nagar in Hauz Khas, had gone to the party along with her husband and daughter. The ex-MLA, who had unsuccessfully contested the 2015 assembly election in Bihar on a BJP ticket, and his driver Hari Singh, had fled Delhi after the incident. They were arrested after being detained on January 2 from Gorakhpur in Uttar Pradesh. Officials Sunday said that during questioning, it emerged that the accused duo had dumped Hari Singh's clothes somewhere in Kushinagar, so the team reached there on Saturday and is likely to return on Monday. According to sources, the police are trying to determine the route that was taken by the accused duo while fleeing. On Saturday, police arrested the younger brother of Raju Singh for allegedly tampering with and destroying evidence. Raju Singh's wife Renu Singh and Raminder Singh, who worked for the leader, were arrested earlier also for allegedly destroying evidence. Police have also spoken to Archana Gupta's husband and daughter who were present at the party when the incident the took place. They were questioned for not making a PCR call to police about the incident. However, Gupta's family claimed that they immediately rushed her to the hospital, a police official had said. In his complaint to police, Gupta's husband had said that they were at the farmhouse on Monday night to celebrate the New Year along with friends and around midnight, two-three rounds were fired by Raju Singh. Police had said that they did not receive any PCR call from the farmhouse and only got to know about it after a call from the hospital authorities. When police reached the farmhouse, they learnt that certain evidence were destroyed, police had said, adding the floor was washed and they did not find any empty bullets.